Damon Clear braces in Palatine & Barrington, IL,are a revolutionary orthodontic treatment that Verbic Orthodontics is excited to offer. Our 5-star rated orthodontists have used Damon Clear braces to transform the smiles and lives of patients in and around South Barrington, Barrington Hills, Lake Barrington, North Barrington, Hoffman Estates, Inverness, Arlington Heights, Schaumburg, Lake Zurich, Deer Park, Kildeer, Long Grove, Tower Lakes, Fox River Grove, Wauconda, Rolling Meadows, Palatine and Barrington, Illinois (IL). 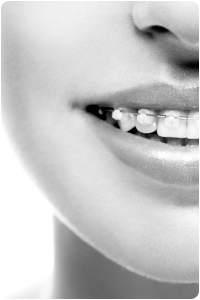 There are plenty of reasons to consider choosing Damon braces for your orthodontic treatment. There’s the incredible accuracy and short treatment time, as well as the small, sleek, and innovative design that makes wearing these brackets more comfortable. Damon Clear braces are a completely transparent type of braces that do not use rubber ties that stain or distracting metal doors. If you have ever felt that the appearance of braces is an obstacle when choosing to make a commitment, then Damon Clear braces might be just what you’re looking for. Not only do you get all the benefits from the original metal brackets, but you get to take advantage of the short treatment time and accuracy while wearing a bracket that matches the color of your natural teeth. You can smile with confidence even before your treatment is over. Call 847-359-7980 today to schedule your complimentary, no-obligation smile assessment and see if Damon Clear braces in Palatine & Barrington, IL, are right for you!